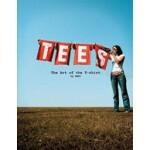 Here at last is the bible of T-shirt design today. 82 studios from around the world contribute their best designs to create a global view of the current thriving state of T-shirt land. 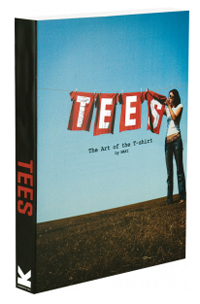 Tees is packed with illustrations of artwork and finished T-shirts, along with insights into the designers' inspirations, techniques and, where available, retail outlets. With a vast range of style - anarchic illustration, pixel patterns, faux metal, all-over geometry, high craft, retro type, hand-drawn humour - Tees reveals the enormous potential of T-shirts to be expressive, entertaining and highly desirable all at once. 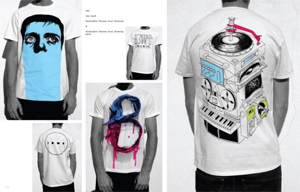 MAKI is a small design and illustration studio based in Groningen, The Netherlands, run by Kim Smits and Matthijs Maat. 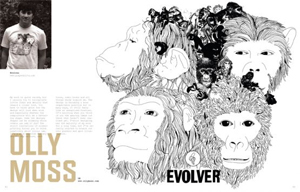 MAKI work for a variety of clients, magazines and many T-shirt companies around the world.